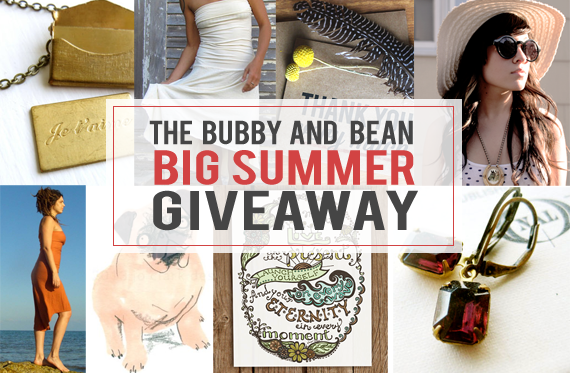 Bubby and Bean ::: Living Creatively: BIG SUMMER GIVEAWAY // Win a $270 Prize Package of Goodies! BIG SUMMER GIVEAWAY // Win a $270 Prize Package of Goodies! Today is one of my favorite days of the year: the first official day of summer! And to celebrate the season of sunshine, swimming pools, picnics, festivals, frosty drinks and backyard barbeques, I've teamed up with several of June's large and medium sponsors for one of our best giveaways yet. 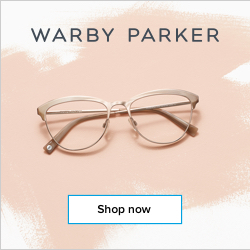 From beautiful handcrafted clothing and jewelry to art prints, paper goods, and blog ad space, this prize package (worth nearly $270!) is seriously chocked full of goodness. And one lucky Bubby and Bean reader is going win it all! 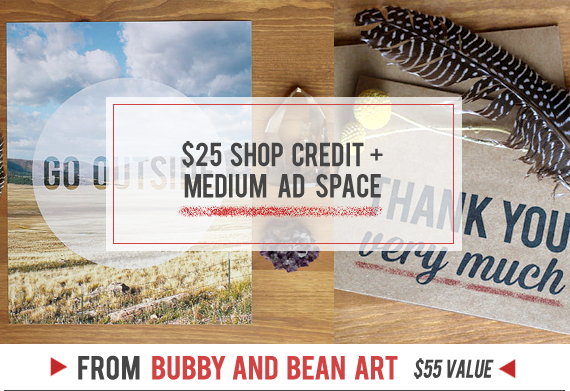 This giveaway is open to Bubby and Bean followers/subscribers. If you're a new reader, please make sure to subscribe first through GFC, Bloglovin', or email. To enter, just leave a comment telling me your favorite thing about summer! 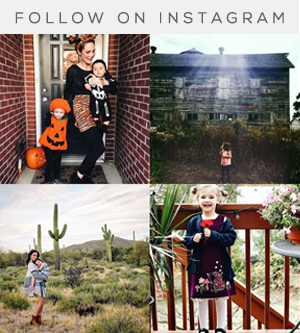 Visit any of the shops from this giveaway (Oh Nostalgia // Gaia Conceptions // Jo Clark Design // Little Tree Vintage // Bubby and Bean Art) and list your favorite item(s). Favorite any of the Etsy shops from this giveaway (Oh Nostalgia // Little Tree Vintage // Bubby and Bean Art) and list your favorite item(s). This giveaway goes through June 27th and is open to Bubby and Bean readers worldwide. The winner's name will be chosen randomly and announced shortly after. Thanks again to our June sponsors for contributing such great prizes! Good luck! Favorited Bubby and Bean Art on Etsy. I like Bubby and Bean on facebook! Katy A.
I added Bubby and Bean to my etsy favorites (katy010305) and I LOVE the "There is beauty in simplicity" print!! I favorited Oh Nostalgia on etsy already and love the Light Purple Flower Earrings! My favorite thing about summer is all the extra daylight! For one, I can take photos longer, but for two, the summer nights are a pretty blood orange for much longer. So good. Love love love the Vintage flower necklace (only $20?!?!) on Oh Nostalgia!! The "birds on a wire" mug from Jo Clark Design is just way too sweet for me! I love the lost at sea necklace from Little Tree Vintage! I lose rings and bracelets because of my weird dainty bones, but I love a good necklace!!! I've long been a fan of the stationary on Bubby and Bean Art (I buy my xmas cards there every year) and I'm really adoring the Thank You Very Much cards! So awesome! 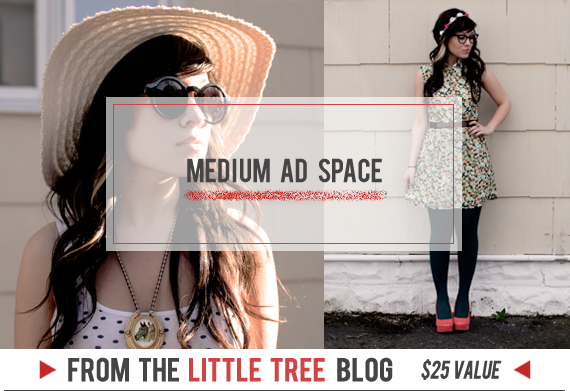 Following Little Tree Vintage on Bloglovin! Liked Bubby and Bean on Facebook! my favorite thing about summer is spending time with my kids and being outside all day long!!! i love being able to just pick up and go make an adventure of our day love love love summer! Wow, what an amazing giveaway. My favorite thing about summer is food - sweet, juicy, cold watermelon, popsicles, ice cold freshly made lemonade, crisp salads. Pinned the top image from this post on Pinterest. I love watching our 4 & 6 year old playing outside, in the warm sunshine! The warm weather & going to the river! I now subscribe to Little Nostalgia! I favorited Oh Nostalgia. I love those color blocked necklaces! Already like B&B on FB! OK I'm obsessed with that rabbit pattern by Jo clark! My favorite thing about summers are beautiful days spend by the lake, swimming in warm refreshing water, and hanging out with my family and friends. The jade green necklace from Oh Nostalgia is very pretty! 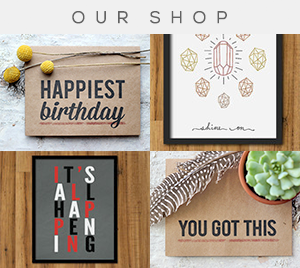 I'm in love with Jo clark designs. I can't decide which is my favorite. I will say Dachshund 'sausage dog' card reminds me my puppy! I followed Little Nostalgia at Twitter. I followed Jo Clark At Facebook. I followed Little Tree on Facebook. 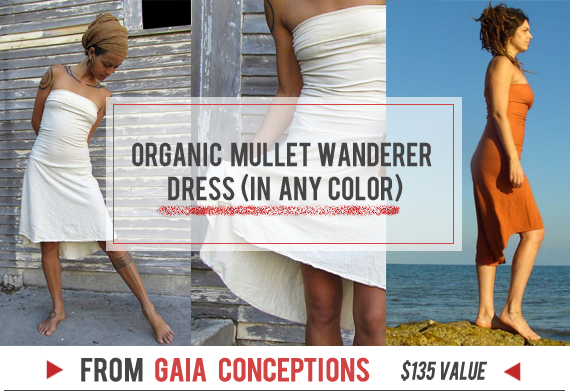 I followed Gaia Conceptions on Twitter. I favorite Oh Nostalgia on etsy. I favorite Little Tree Vintage on etsy. I favorite Baby and bean etsy store. My favorite print is OLD DOG DAYDREAM Art Print. I follow you on Facebook for some time now. I love receiving all the updates straight to my facebook. I pinned the photo to pintrest. My favorite thing about summer is having my kids home from school! My favorite part of summer is the all the extra days I get to spend walking my dogs in the neighborhood. What I love about summer is drinking lemonade or sweet tea when it gets humid during the day,but sitting on the porch listening to the crickets chirp loudly. I follow on GFC and bloglovin. My fav thing about summer is getting to lounge by the pool! My favorite thing is being able to spend time with family and getting to visit new places! My favorite thing about summer is reading as many books as I want! Although now that I have graduated from college, I am hoping that I can always read as many books as I want. My favorite item from Oh Nostalgia is the Long Turquoise Necklace. 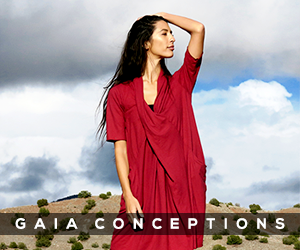 My favorite item from Gaia Conceptions is the Migration Tunic. My favorite item from Jo Clark Design is the Bulldog Doggy Bag. My favorite item from Little Tree Vintage is the Wire Wrap Druzy Quartz Necklace. My favorite item from Bubby and Bean Art is the Go Outside Print. My favorite things about summer are swimming, biking, gardening and just relaxing in the backyard. 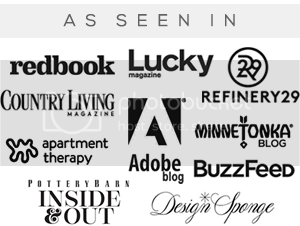 Following you on Pinterest (mlynn021). Following you on Twitter (@thedancingdork). I love the Fleece Long Peacemaker dress, Let It Snow Long Dress, Hampi Long Dress and the Long Market Dress. I visualize myself with all of these. I subscribe to Little Nostalgia by email. I've followed Oh Nostalgia via GFC. I love all the Rose Earrings. Every single colour. 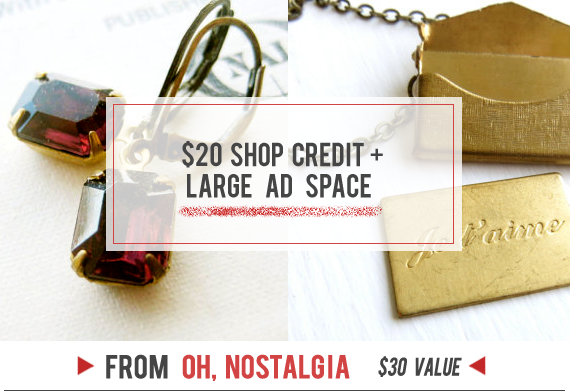 I've added Oh Nostalgia at favorites on Etsy. I've liked Bubby & Bean on Facebook. I've followed you via instagram. I've followed you via Pinterest. My favorite part of summer is my flower garden. My favorite thing about summer has to be bbq/pool parties! I follow this blog as Wagashi Stories. I love summer because I can stay all day long in my garden and have fun with my lovely dogs! My favorite things about summer is all the plants beginning to bloom. i hate cold waather so, my favourite thing is the sun!!!!! definitely. i love the fact that i can wear dresses, long floral colorful dresses, flowers in my hair and sandals. i love the warm salty breeze of the sea!oh, there are so many things i love! My favourite thing about summer is the beach parties! Love the Amethyst druzy pendant and feather accent from Little Tree Vintage! Love the Red Rhinestone Earrings - antique brass, vintage inspired, estate style, oval, old hollywood glamour from Oh Nostalgia! Love the I'm So Glad You Were Born Greeting Card - Typographic Eco-Friendly Happy Birthday Card from Bubby and Bean! I love all the outdoor festivals and flea markets! I love the Feather Necklace from Oh Nostalgia. The Blockprint Racer Back Long Dress from Gaia Conceptions is fantastic. I adore the Hello Mole mug from Jo Clark Designs! The Amethyst druzy pendant and feather accent from Little Tree Vintage is super cool. I love the Happiest Birthday card from Bubby and Bean Art! My favorite part of summer is getting to wear skirts all the time! No pants ever, that's my motto. My favorite thing about summer is air boating! I following Little Nostalgia's blog. Love this Kimono Dress from Gaia Conceptions! These Triangle Earrings from Little Tree Vintage are beautiful! i love going for bike rides & playing in the sprinkler with my son! :) thanks for the wonderful giveaway! follow through gfc blew415.... love brights for summer! Love the turquoise necklace s from oh nostalgia! Added oh nostalgia to my favorites! Love short cocoon dress from gaia conceptions! Added Gaia coceptions to Etsy favorites! 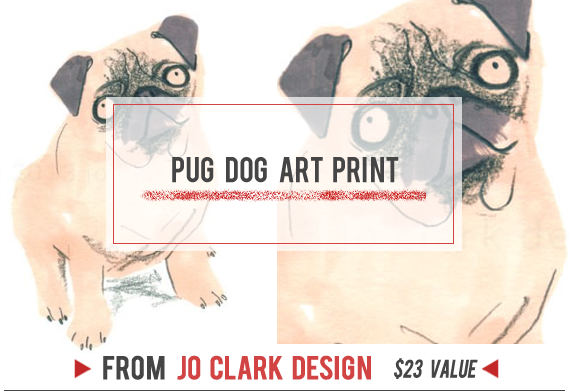 Jo clark design my favorite item is the tea towel!